As the Election Turns-commission district conventions? Brian Hornback, esteemed Chairman of the Knox County Republican Party, said last night on WATE, as well as again in his Friday blog post, that what we could be seeing to fill the seats of the term-limited commissioners are commission district Republican Conventions, and in the comments on his blog, he pointed out that he had been a part of such a convention. I'd be curious to have Brian give us a description of how this process works, because I have to admit, I have never been a part of what amounts to a county sub-caucus before. How are delegates to attend one of these conventions selected? Who can attend? Who has the authority to nominate candidates? How many ballots can the convention go through? Where would the conventions be held in each district? Frankly, it all sounds like great fun to me. It sounds as though one of these commission district conventions could take on the flavor of the Ward Caucus from years gone by before the primary system was adopted in most states. Since I don't believe in the primary system (I have always believed that local candidates should be selected by local caucuses, Gubernatorial candidates by a combination of caucuses and State Convention, and the Presidential Candidate should be chosen on the National Convention floor as in years gone by) I would find this sort of exersice good for the political mind and body. Just how would it function? The Knox County Election Commission voted to take no action tonight after being told they could not remove names from the Primary ballot this late in the game. However, that doesn't change the reality that the Twelve cannot run in local elections at summer's end. So what happens now? Assuming the present incumbents are ruled ineligable (and that isn't entirely clear yet) then the Executive Committees of the two parties will decide who their candidates are for the August local election. Obviously I don't know what they'll do, but if the Commission vacancies are verified, I somehow doubt I'll be getting a call. Rob Huddleston gives an update about the situation regarding the 12 (seemingly) disqualied candidates for re-election to the Knox County Commission. Apparently, State Election Chief Brook Thompson says the ballots cannot be altered because we are less than 40 days away from the May primary. Rob is right that this mess may bring about lawsuit after lawsuit over the summer leading up to the local General Election in August-and I don't know if he is right about whether or not it violates federal law, that may be the case, but this does put the County and State in a bind. The reason is because here in Tennessee, we have early voting. For the primary, that voting begins April 12th and runs to April 27th. I must admit that I find early voting convenient and less hassle-bound than trying to find time to go to the precinct on the day of the poll, largely because I can just cast my vote downtown at the courthouse, and I can get there on my own. Well, new ballots would have to be ready in 13 days, and some absentee ballots have already been sent out for those who are homebound or infirmed. Many of you have read that I am considering a candidacy for one of those soon-to-be-open Commission seats. Nicole and I still have not decided what we should do, or whether this time (and these unusual circumstances) is the right time for me to break in to the political landscape. I really think the Lord will have as more to say about that than anyone or anything else, so I would ask for everyone to pray for the Lord's guidance for Nicole and I in the days to come as the election situation is sorted out by the present County and State administration. Whether I run or not, I do think it would be a novel idea to schedule a new primary for August, the same day as the State Primary. I don't know how likely that is, because that would actually make sense. Later on As The Election Turns-Will the Election Commission reschedule the Primary? He is asking whether I will run to replace one of the 12 incumbent Knox County Commissioners who may be forced not to run for re-election as a result of the State Supreme Court ruling yesterday. Assuming that I meet the Constitutional requirements for the office I would be running for, I would be glad to run if people asked and showed me there was enough support for it. I stand by that. Let's just say I am going to have to do a little research-perhaps very fast research, and we are all going to have to see just what happens to the Twelve. If they really all get cut-well, I'll talk about it some more then-we'll see just what exactly happens. For the record, I live in the 2nd District. The Tennessee Supreme Court has ruled that term limits are within the realm of the Constitution. As things stand, only county officials are term-limited, but since Knox County also has a term limit on the books, the ruling could apply to Knox County officials as well. The whole mess has caused a huge stink because people who would be term-limited assumed that they were not, and ran for re-election. Since there is a local primary coming up in a little over a month, the question has arisen as to who, if anyone, should be removed from the ballot. The ruling could disqualify twelve Knox County Commissioners: Mark Cawood, Larry Clark, David Collins, John Griess, Phil Guthe, Mary Lou Horner, Diane Jordan, John Mills, Mike McMillan, Wanda Moody, John Schmid and Billy Tindell. Sheriff Tim Hutchison could conceivably be disqualified as well, although the Knox County Election Commission says they aren't removing anyone from the ballot on such late notice. I have a different opinion of term limits than many other Tennessee Republicans. Having seen how term limits have worked (or not worked) in other States, I strongly believe that term limits will leave our State with a terrible drought of leadership as our experienced leaders will either be forced into retirement or get around the intent of the law by simply seeking other offices of similar or greater stature to the offices they previously held. Republicans will see the impact of term limits if we finally get control of the legislature and have term limits that force our experienced men and women out, and could cost the GOP seats. The nature of the Republican relationship to the term limits movement is that limits are fine until they begin to cost the GOP legislative seats. Term limits are a knee-jerk reaction to a larger problem-the average man or woman does not feel that he or she can run for office and beat an incumbent. Perhaps what we really need to do is revisit some very old-style campaign techniques, like knocking on every door in the district, and speaking from the back of a train or the bed of a truck. You can tell it is an election year because at least half of the Governor’s speech last night made good solid sense. I am concerned that the $50 per person cost the Governor was touting could be inflated once the final bill is written. Stacey Campfield points out that two of the important ideas Bredesen floated last night, risk pools and student health care, were ideas he came up with or at least helped to germinate, but that he will get no credit for them. I do think it is a shame Stacey will not get the credit he deserves, but the important thing is that Jersey Phil now says he supports them, which means that if they can be written into the final bill and he doesn’t sign them into law, it makes him look like a hypocrite. Speaker Neifeh is also exposed as an authoritarian who stifles debate when he does not like the line of questioning. In this case, it had to do with the new proposed Eminent Domain legislation. I did not see the floor debate, but if Stacey’s account is accurate, Neifeh threatened to shut down the debate simply because he didn’t like where the debate was going. After the TennCare debacle, common sense would dictate that the State would want to avoid anything to do with massive public-funded healthcare schemes considering that the previous attempt at this nearly bankrupted the State of Tennessee. So terrible was the strain on the budget that the Governor, who first campaigned on the notion that TennCare needed to be "reformed," and then presided over its collapse, said that there was nothing more that he could do. I think he attempted to shift the collective blame to everyone else but himself for the public anger over how the collapse of TennCare was handled, but I also think he was telling the truth (in a round-about way): The system was a failure and a flop, and because the choice came down to TennCare or fiscal insolvency, TennCare had to go. People had come to depend on TennCare, especially for prescription medicine, and whether we think it was right or wrong to depend on it is irrelivant to the reality that the State of Tennessee gave a lot of people the false hope and phony trust that this system could be relied upon. People have died as a result of this incompetence and false hope. After such a devastating experience, you would think Jersey Phil and the boys would have learned a valuable lesson-but apparently they have not. They want the State to get back into the mass health care business, and Bredesen will address the General Assembly tonight at 6pm CST about a health care proposal he has apparently come up with. I don't know if he will roll this under the auspices of TennCare or if this will be some totally new and distinct program, but according to The Tennessean the proposal will be modeled after a similar program in New York. Using New York as a model for anything cannot be constitutionally sound. Why? New York's State Constitution is dramatically different, and New York has an income tax. That being the case, I'd be willing to bet the ranch Bredesen will try to introduce an income tax if he is re-elected. He'll wait until then to avoid the wrath of voters. His effort will fail, but not before yet another health care debacle is created for the rest of us to deal with after Bredesen is gone. 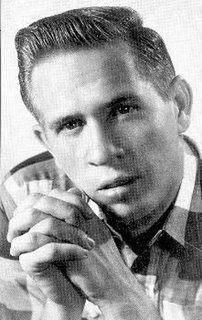 A brief post this morning on one of my favorite country singers-Buck Owens, singer of such classics as Love's Gonna Live Here Again, Welfare Line, Under Your Spell Again, Act Naturally, Together Again, Sam's Place, and everyone's favorite, The Streets of Bakersfield passed away in his Bakersfield (California) home yesterday. Buck was one of my real country music heroes, he sang real honky-tonk music, the sort of music that seems to have died with him. The only artist that I know that sings true Honky-Tonk that has had any national recognition is Dwight Yoakam, who admits his biggest musical influence has been none other than Buck Owens. Buck also co-hosted the greatest television show of all time. May Buck's music live forever.